By Tom Kertscher on Monday, June 12th, 2017 at 1:55 p.m.
News about testimony from fired FBI Director James Comey continues to reverberate as President Donald Trump, who is scheduled to visit Wisconsin on June 13, 2017, bashes him on Twitter. 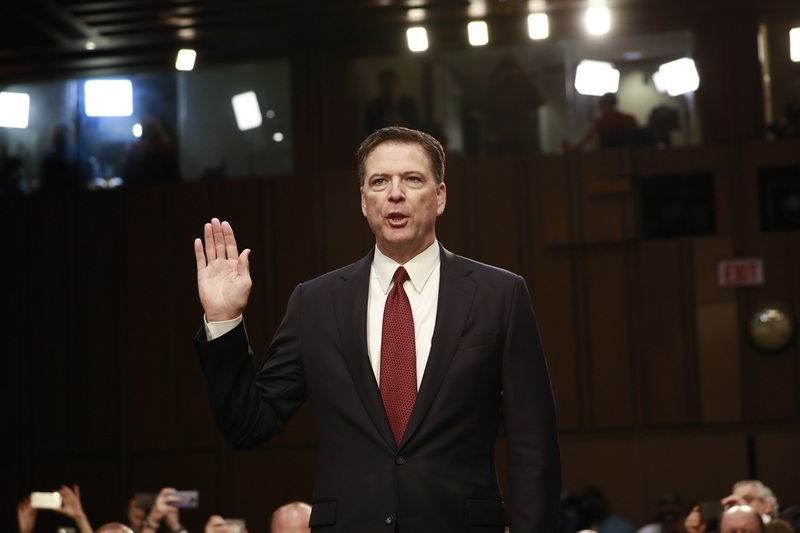 Here are three takeaways, based on articles from PolitiFact National, on Comey’s testimony on June 8, 2017 to the Senate Intelligence Committee, as well as reaction to it. One example: Comey said Trump got him alone in the Oval Office on Feb. 14, 2017 and asked him to "let this go," a reference to having the FBI back off its investigation into former National Security Adviser Michael Flynn. The exchange was first reported in the New York Times on May 16, 2017. Trump and White House spokespeople denied this allegation. "No. No. Next question," Trump said during a news conference, when a reporter asked him about the Times story. In his testimony, Comey said of Trump’s response: "I don't believe it is" a true statement. For example, Kasowitz said Comey "admitted that he unilaterally and surreptitiously made unauthorized disclosures to the press of privileged communications with the president." Kasowitz did not use the term executive privilege. That applies when Congress wants information from the White House and the administration resists. Legal experts say that case law on executive privilege is thin, but under those circumstances, the principle can shield the release of certain details. But there is no privilege if unlawful actions are discussed. And while Kasowitz might suggest that Comey broke a law, there is no legal penalty, particularly for anything Comey did after he was fired. One of the notable disagreements: Some Trump sympathizers heard Comey say that Trump actually wants the FBI investigation into Russia’s election meddling to continue, while Trump opponents took Comey’s remarks as evidence that Trump wants to obstruct it. Fox News’ Sean Hannity had a point in asserting that Comey said Trump told him it "would be good" to find out if any of his associates were involved with Russia in a nefarious way. But according to Comey, this comment came in the middle of an attempt by Trump to get Comey to "lift the cloud" of the Russia investigation off of the Trump administration. Meanwhile, MSNBC’s Rachel Maddow was correct in asserting that Comey believes Trump fired him over the way he was handling the Russia investigation, based on Trump’s own comments. But Comey didn’t say Trump fired him specifically to curtail the Russia investigation beyond ousting Comey as the leader, and he did tell Congress that Trump never specifically asked him to back up the investigation into Russia’s role in the election. 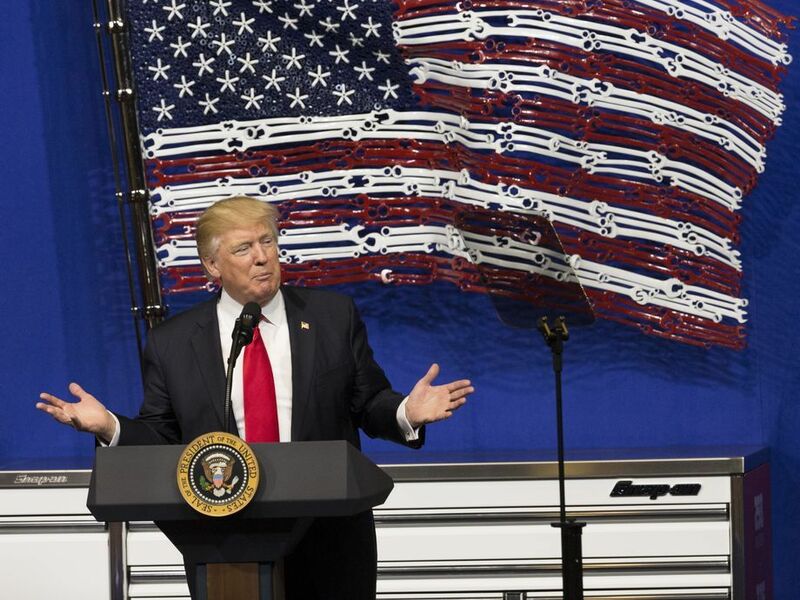 "All pipelines that are coming into this country from now on has to be American steel." Our rating: False. "We’ve lost 70,000 factories since China joined the World Trade Organization." Our rating: Mostly True.